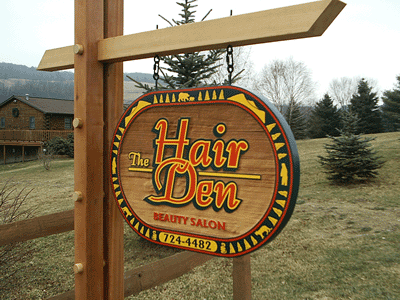 Our skilled artisans will create your beautifully carved (or sandblasted) sign using high quality materials such as cedar, redwood and high-density urethanes (to preserve your sign for many years). 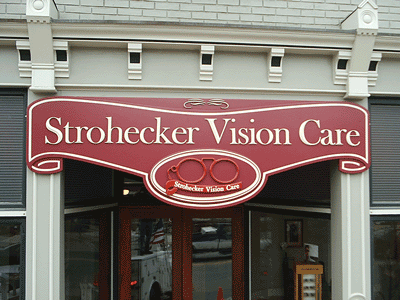 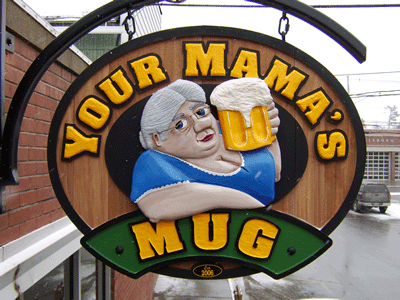 Our professional design services include the ability to provide you with full color artwork of your sign for you to see before we manufacture it. 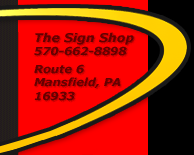 We can match your company colors with our in-house paint mixing machine. 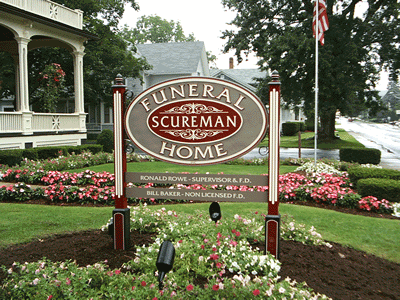 One of our premium services is our ability to hand lay 23 KT gold leaf which will give your sign an extra edge. 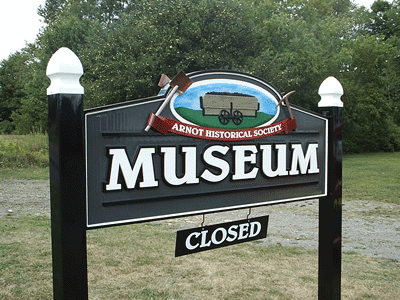 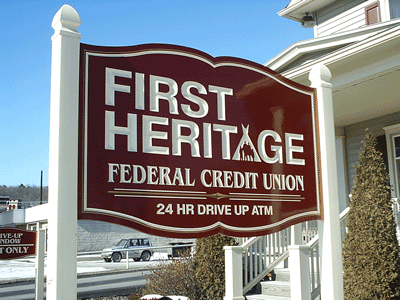 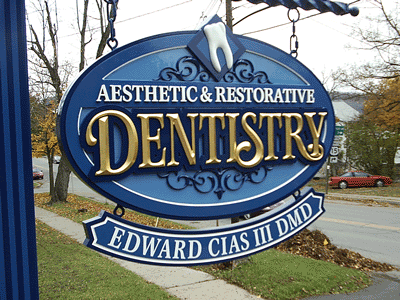 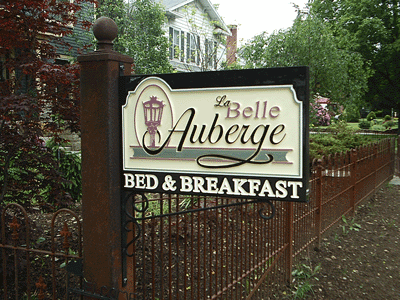 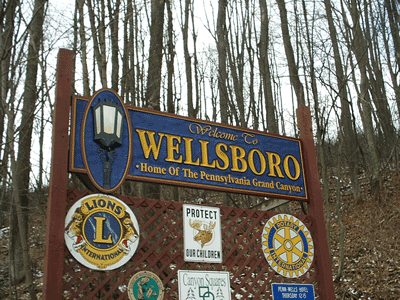 Check out some of our carved signs below and visit our Mansfield PA showroom to see more.